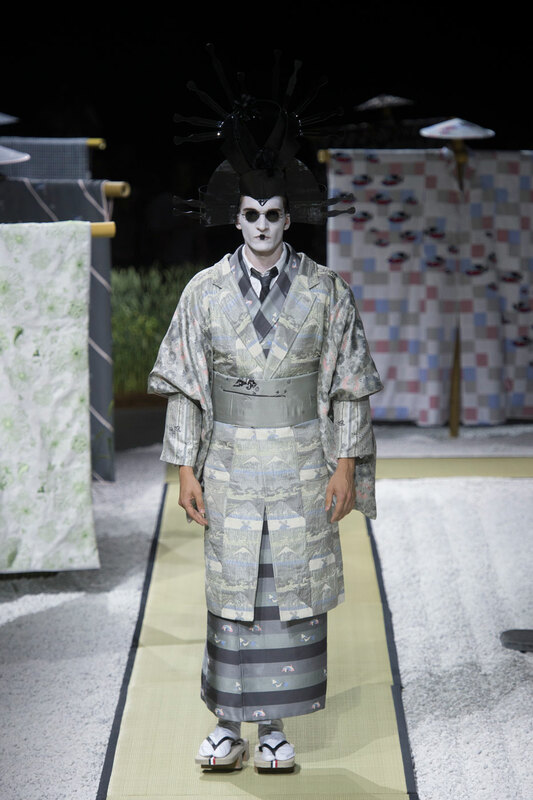 The collection is clearly inspired by the Japanese women entertainers, Geishas. 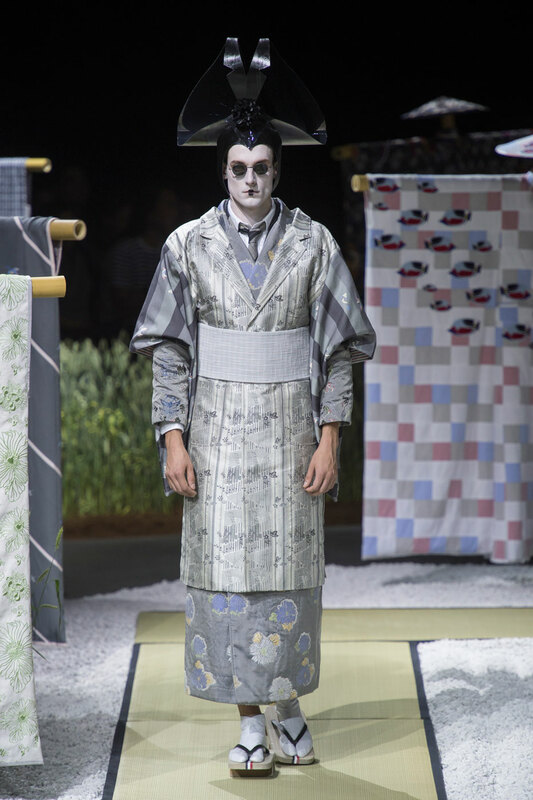 The first acknowledgement of this vision is through the Geta footwear the models have been styled in, it’s a clear indication and key visionary to the references of the Geisha’s. 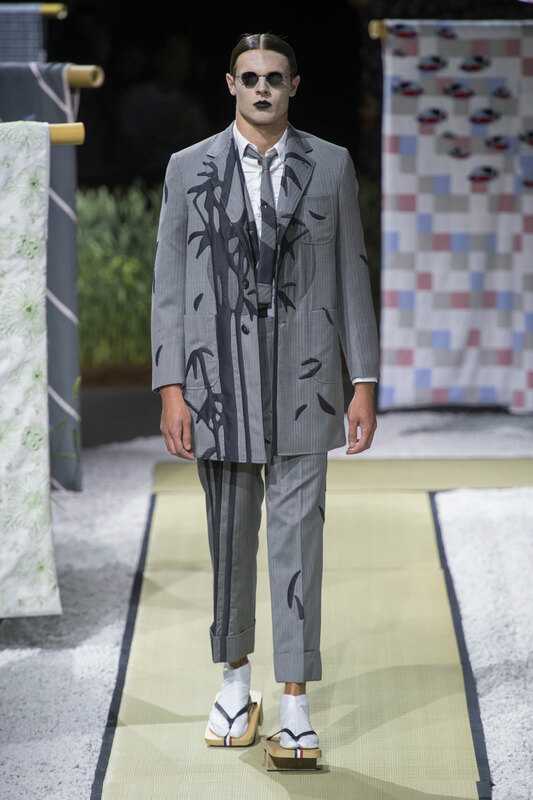 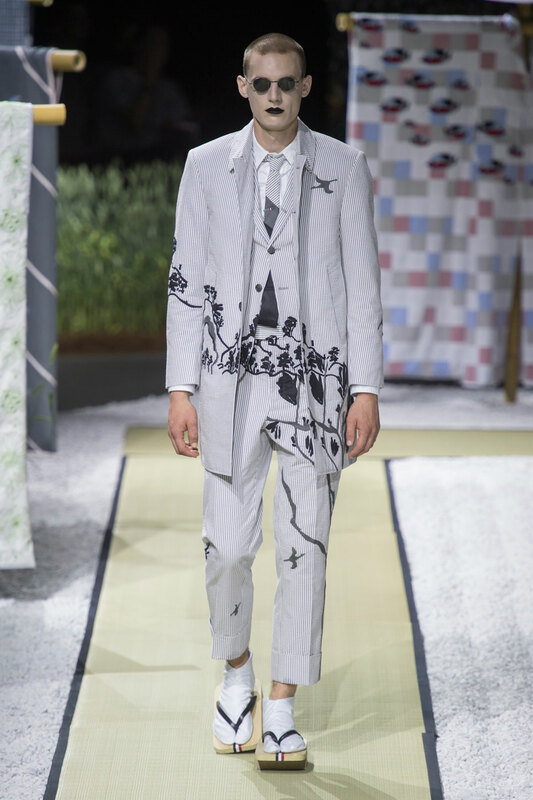 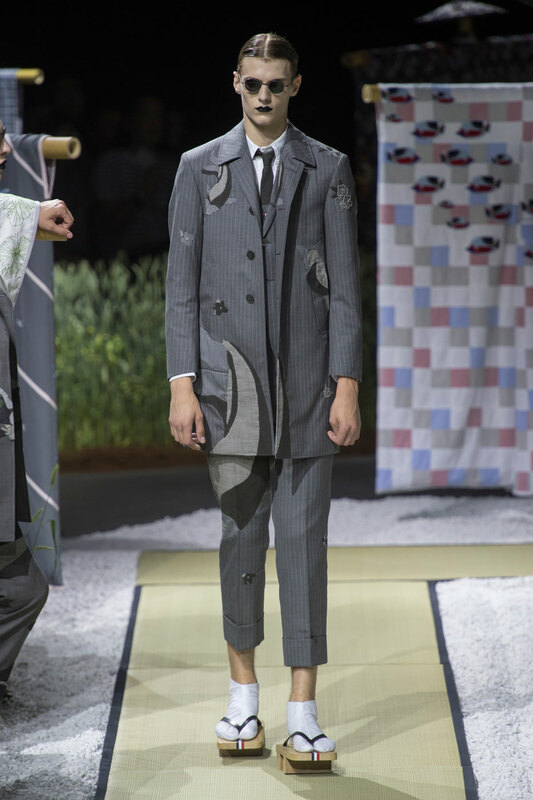 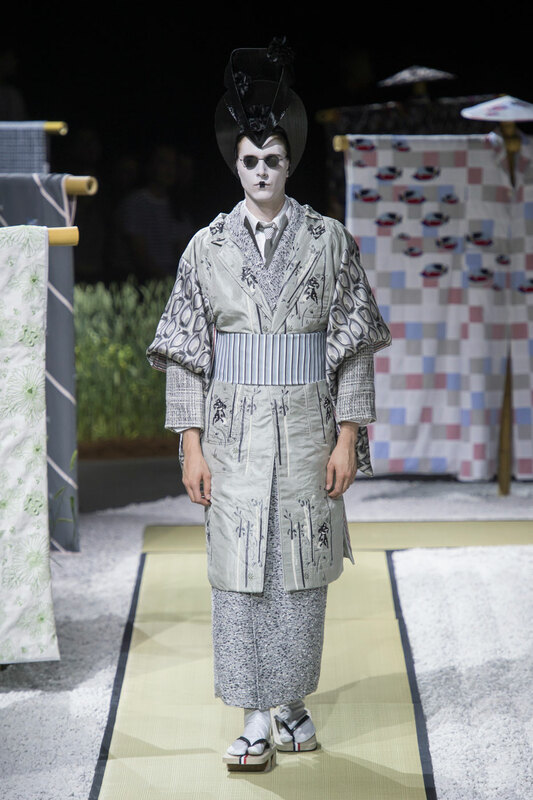 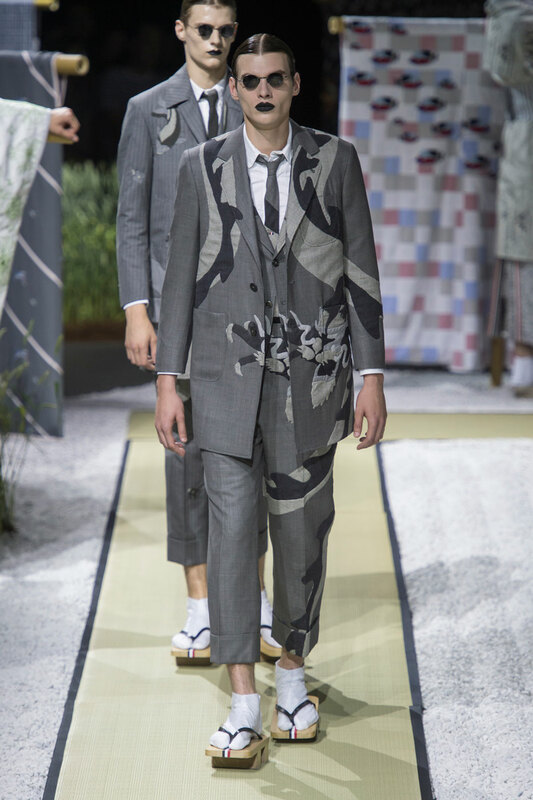 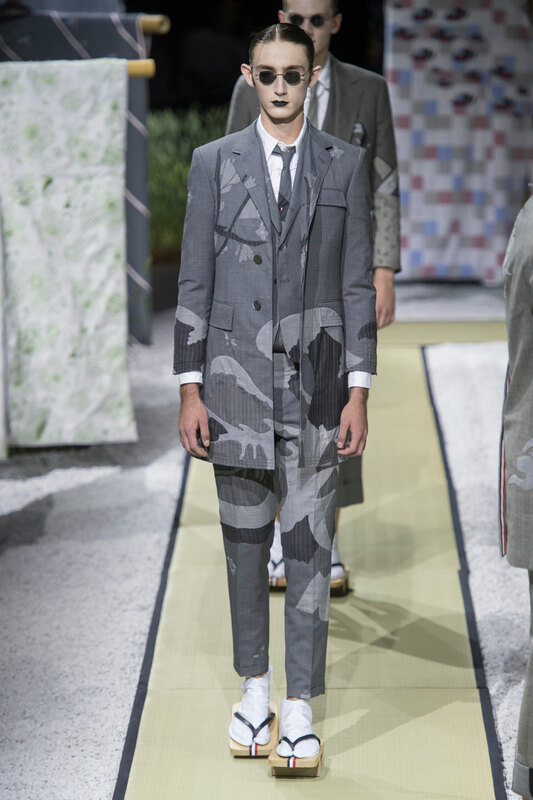 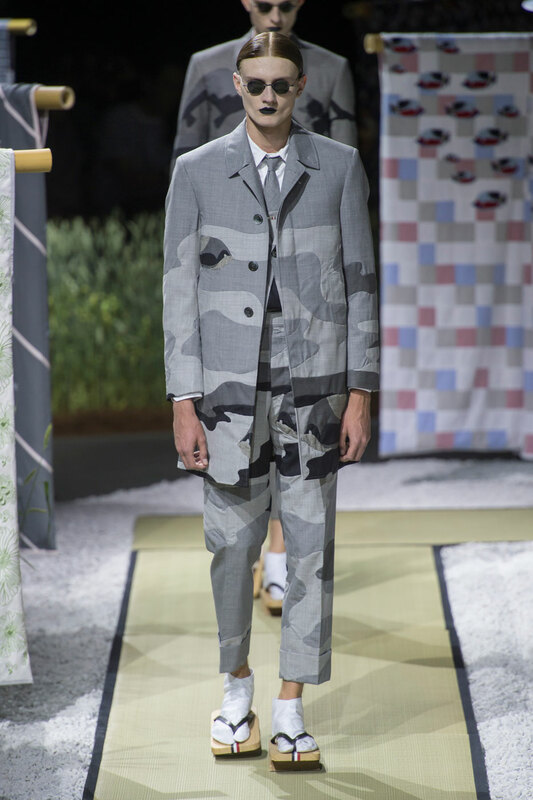 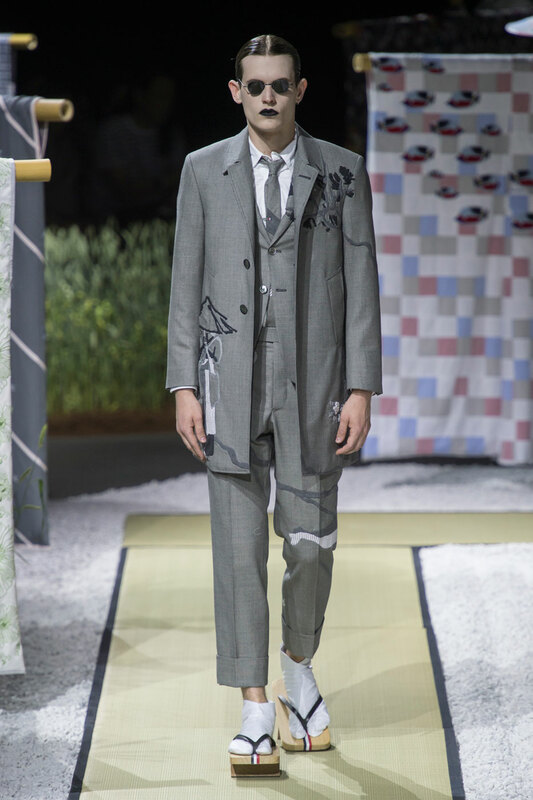 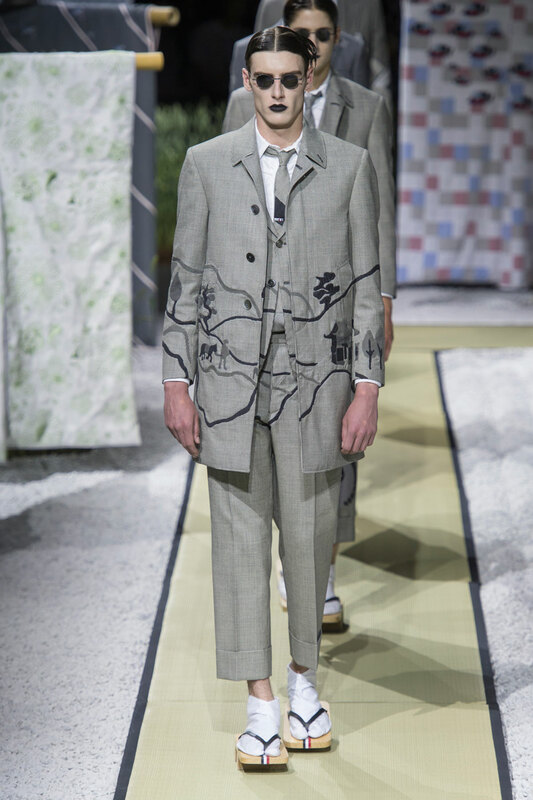 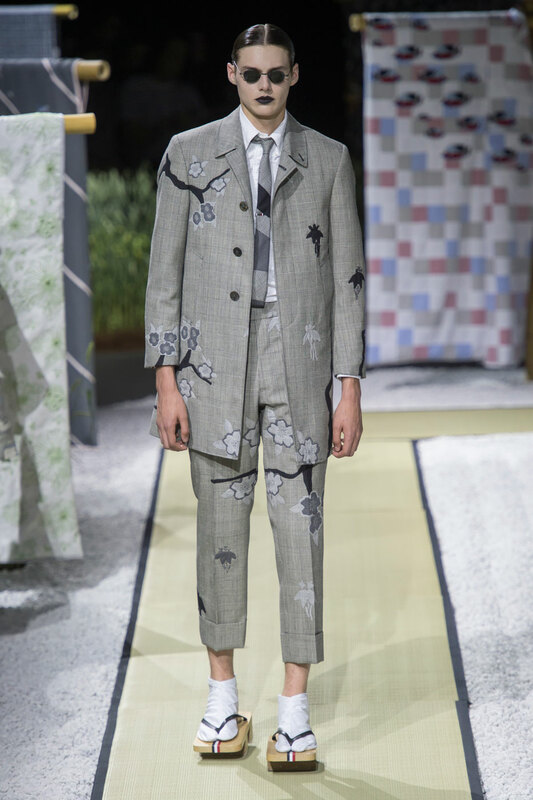 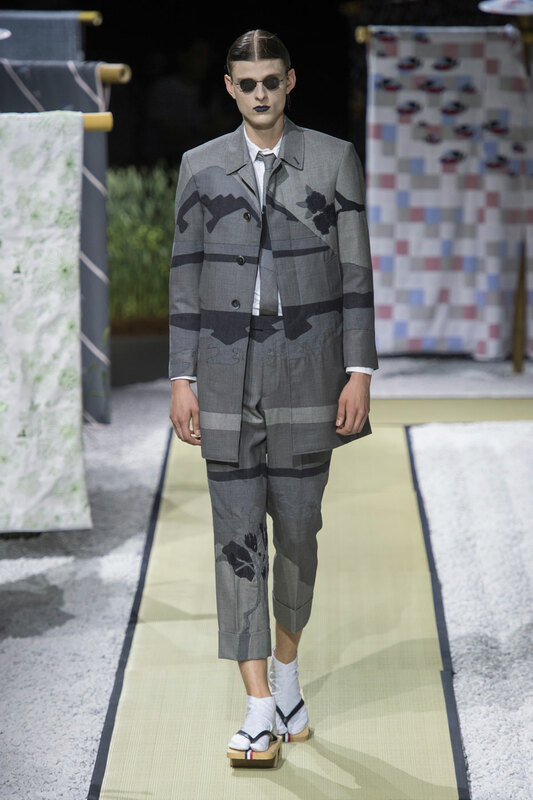 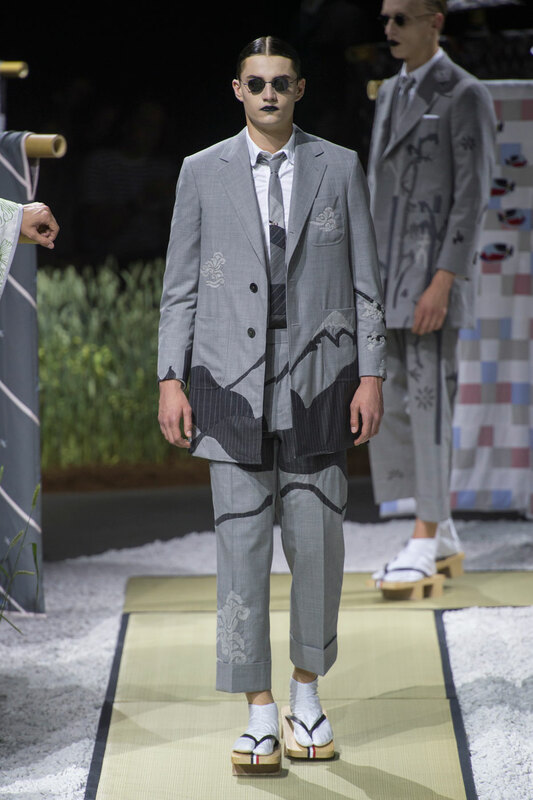 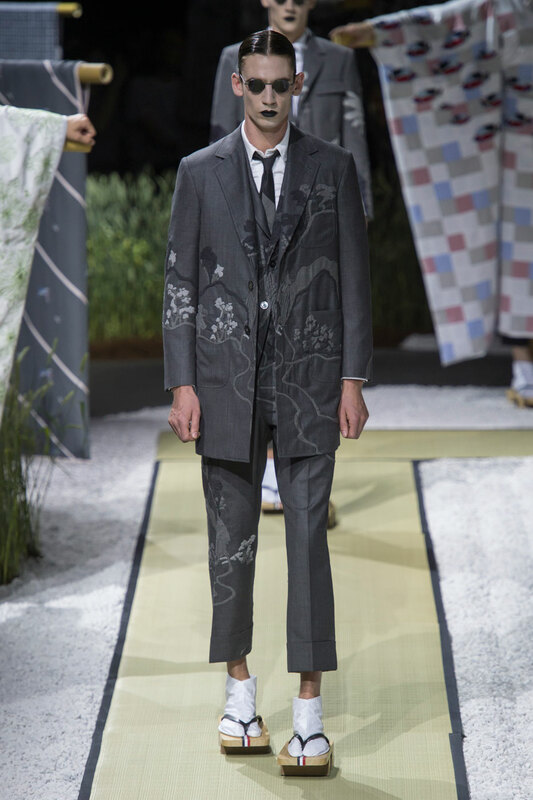 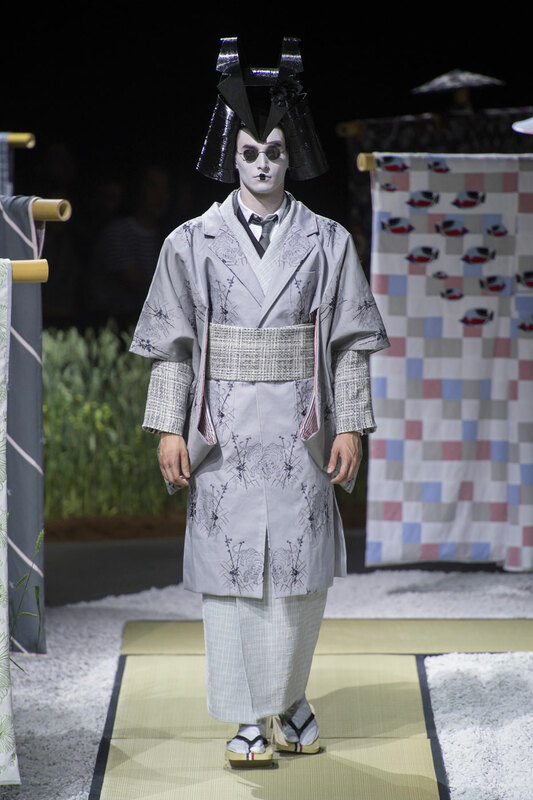 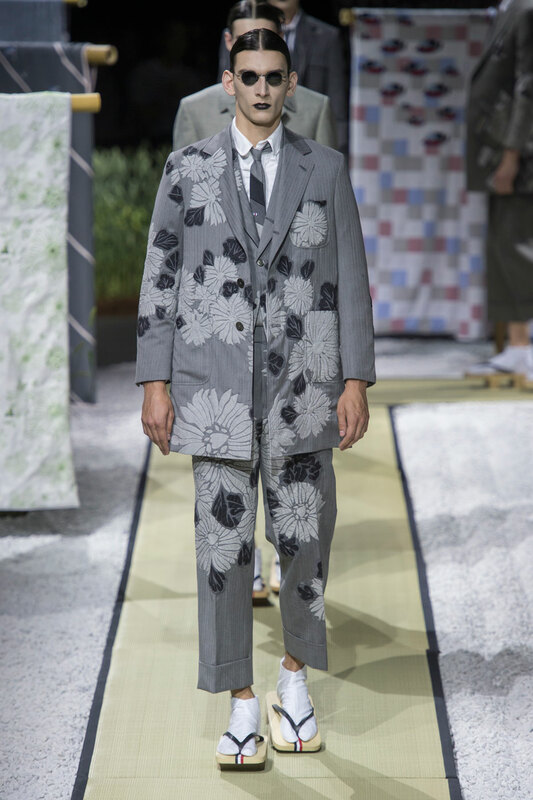 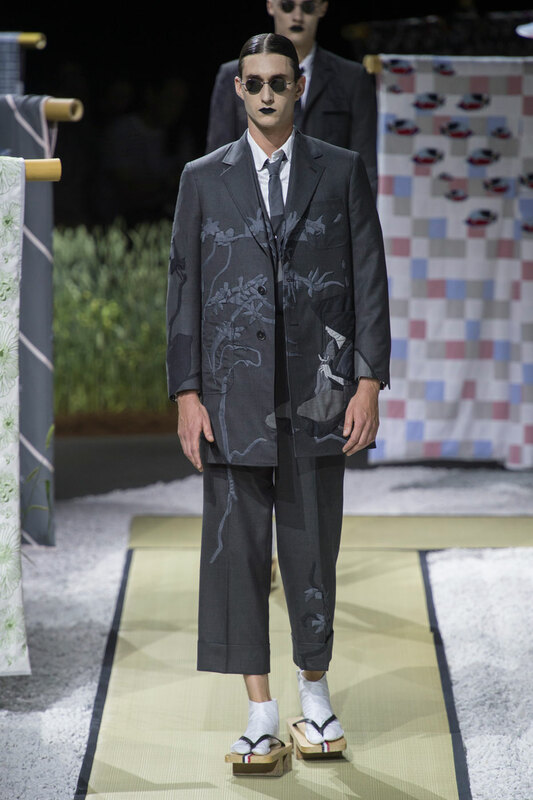 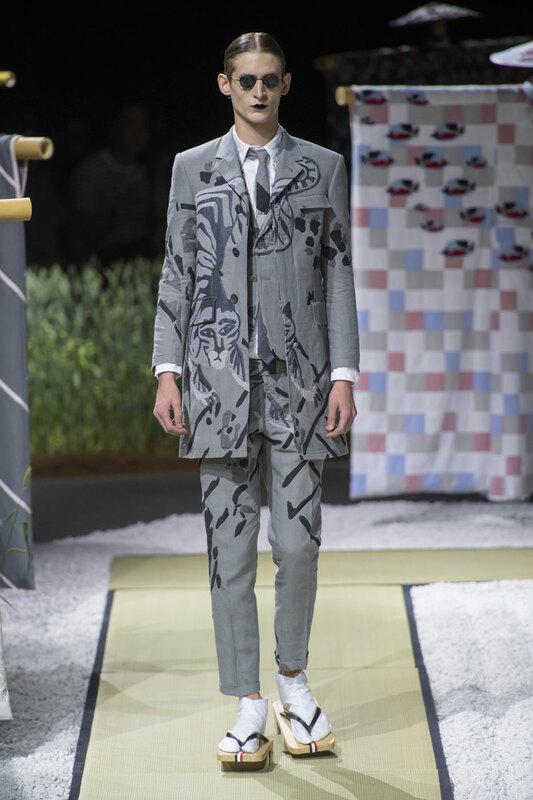 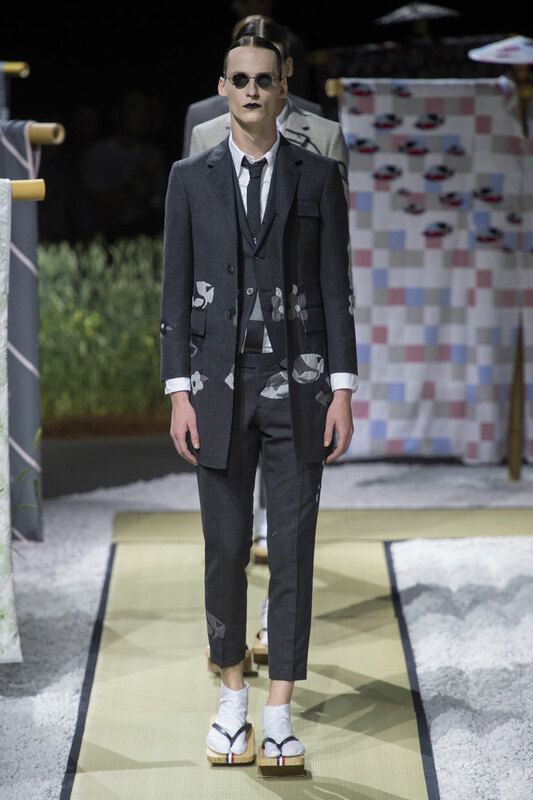 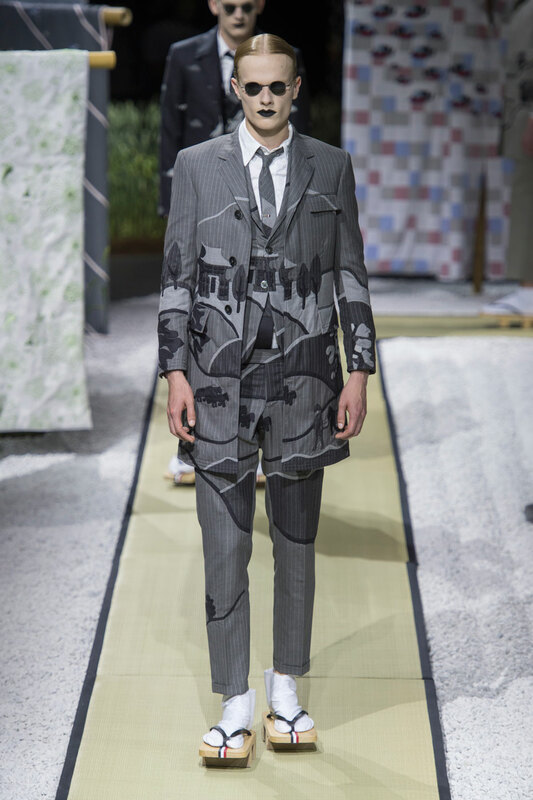 Later in the collection Browne introduces traditional Geisha attire, headpieces and makeup on the male models; this is obviously not wearable and can’t be directly translated into a modern, urban lifestyle. 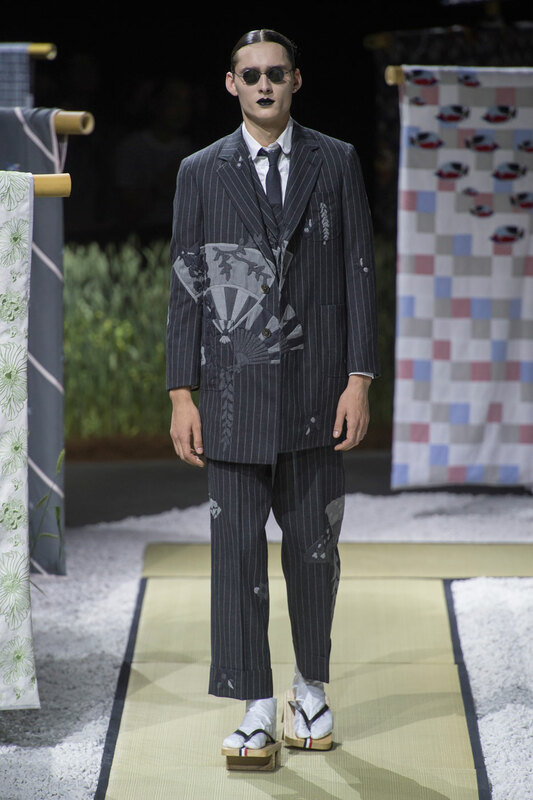 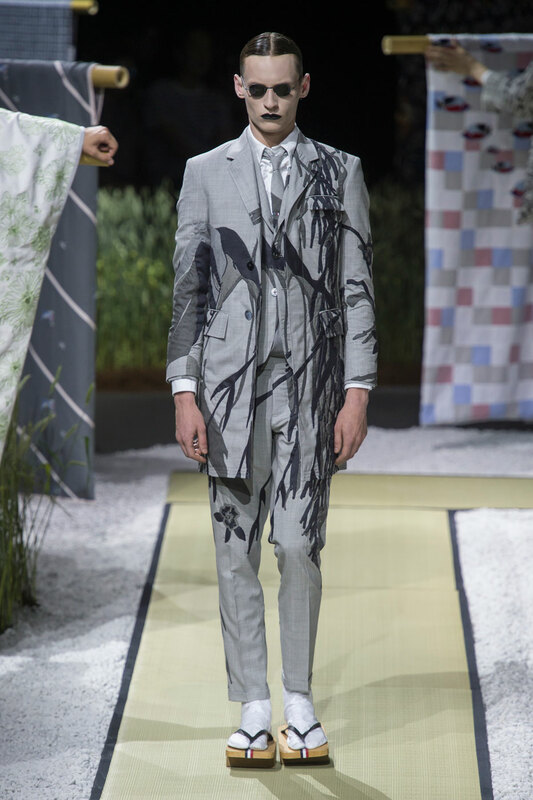 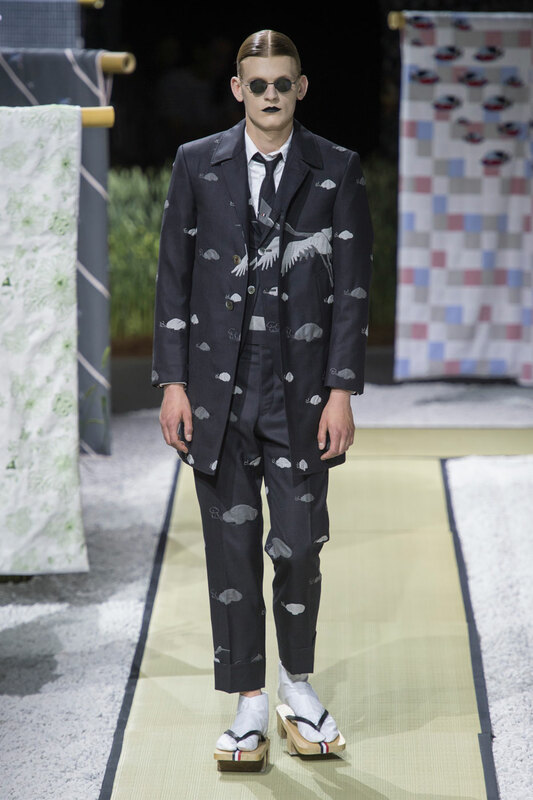 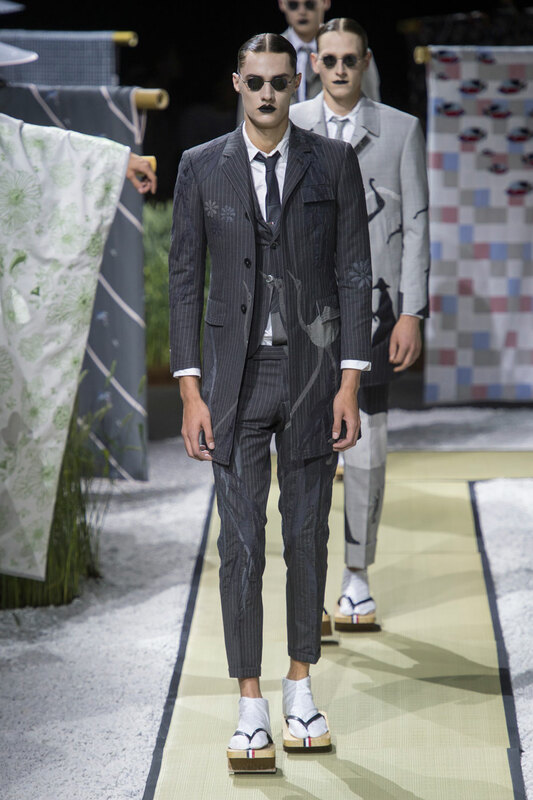 Nonetheless the pieces are clearly reflected in the array of suits that are seen in this show. 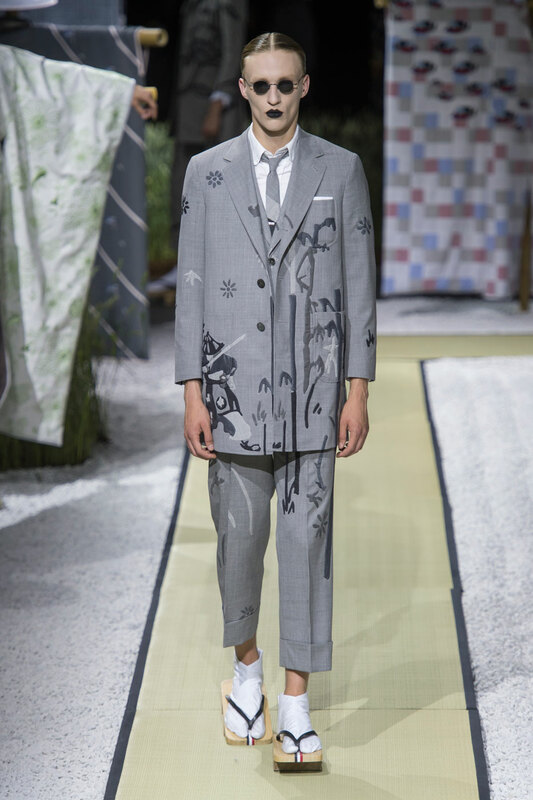 The suits are all very simplistic in pallet, offering no real colour other than black, white and grey shades, although there is no colour present some of the suits do consist of traditional Japanese art printed on to them. 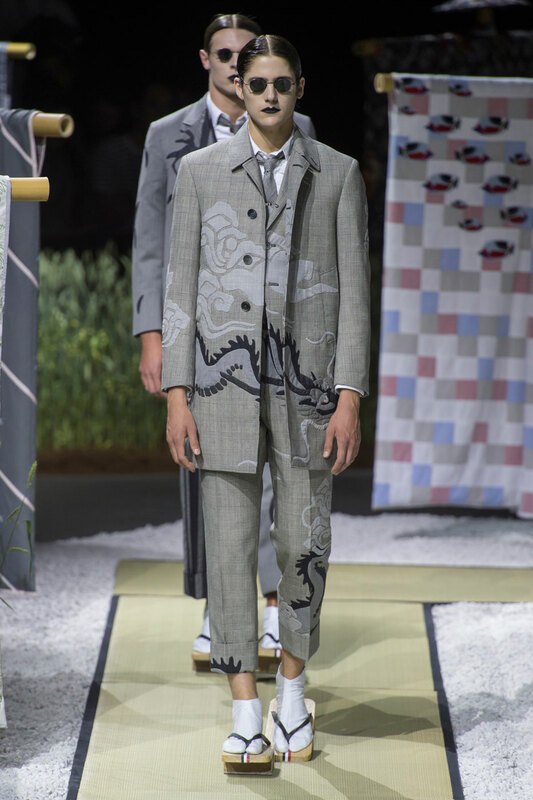 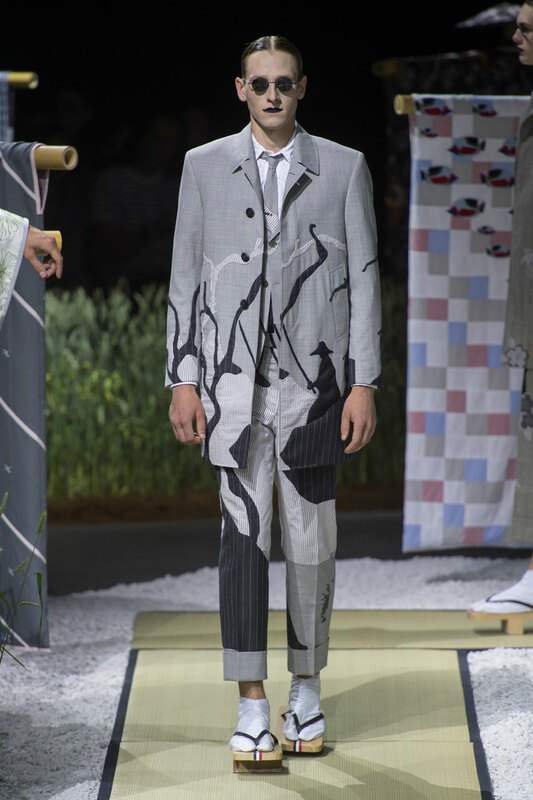 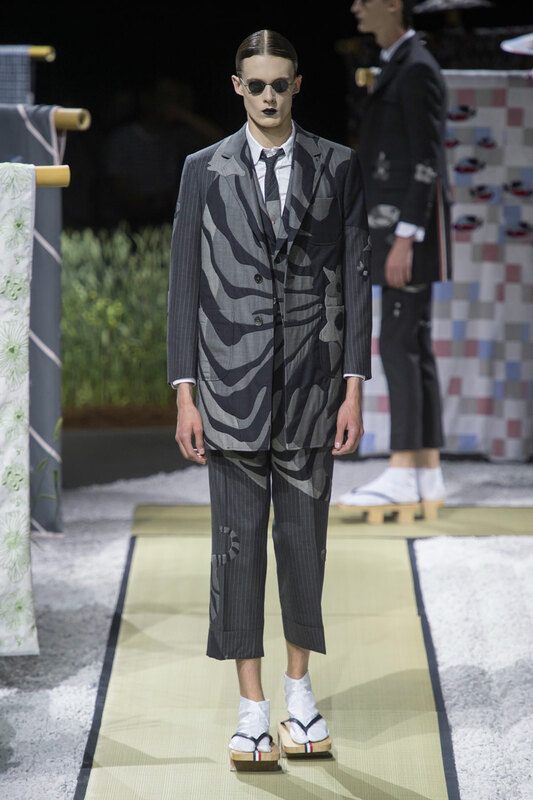 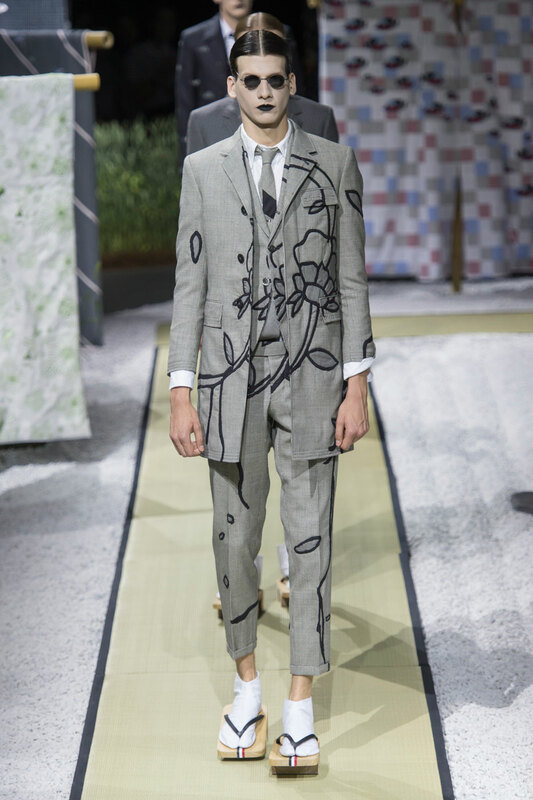 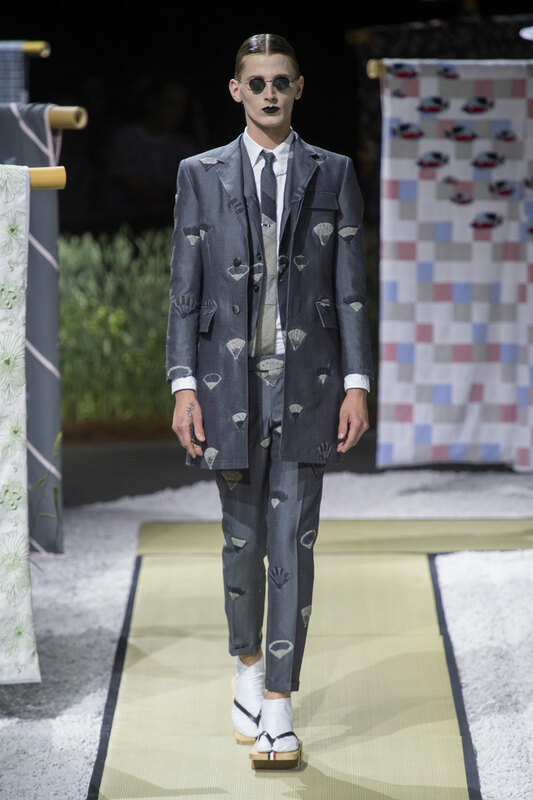 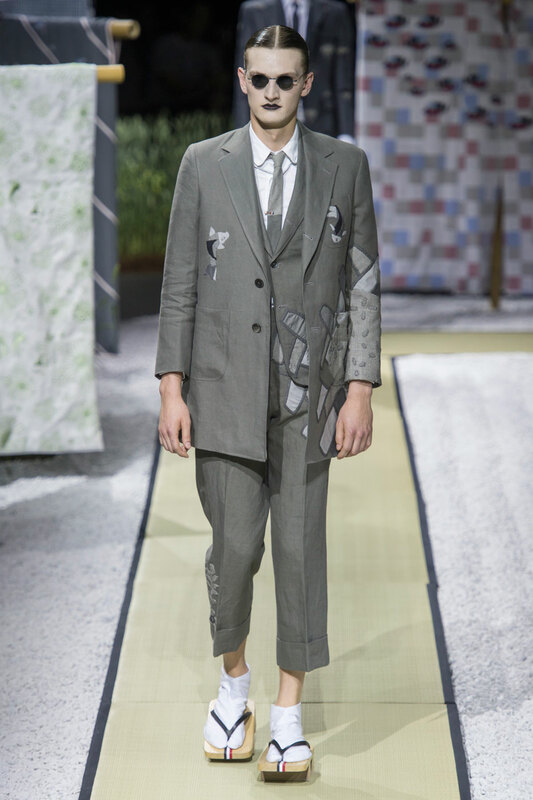 The majority of the suits include three pieces, creating a smarter, debonair aesthetic, still providing reference to the Japanese Geishas however due to the ankle length trousers and shorted sleeve lengths.